"If I get paid for everything I did.. 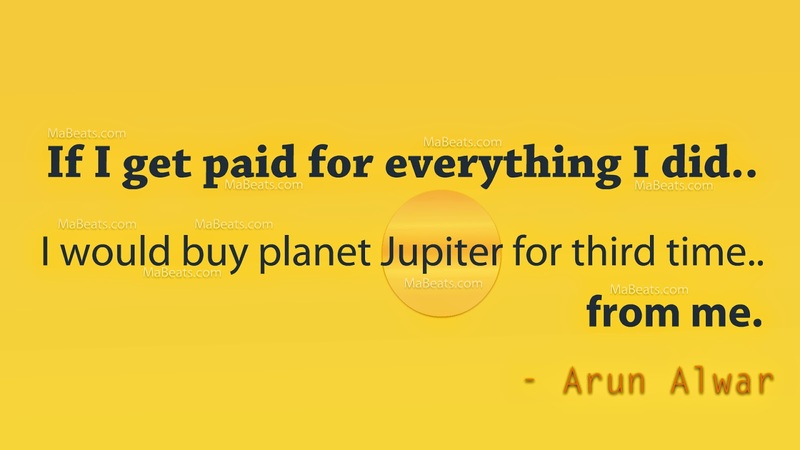 I would buy planet Jupiter for third time.. There are two things we do in our lives. Whether you like it or not you do some job or business for only make money. Unfortunately most of us not making money by pleasing ourselves or nobody pay you for that. All the above gave me pleasure. I got appreciated , applauded. But I never got paid for any of the above. Many self known talents were faded away from us... Because we didn't get paid. After I bought all the pieces of dusts, meteors, galaxies like Andromeda for three times... I'm buying Jupiter for third time... from me. Oh yeah.. It rains in diamonds in Jupiter.